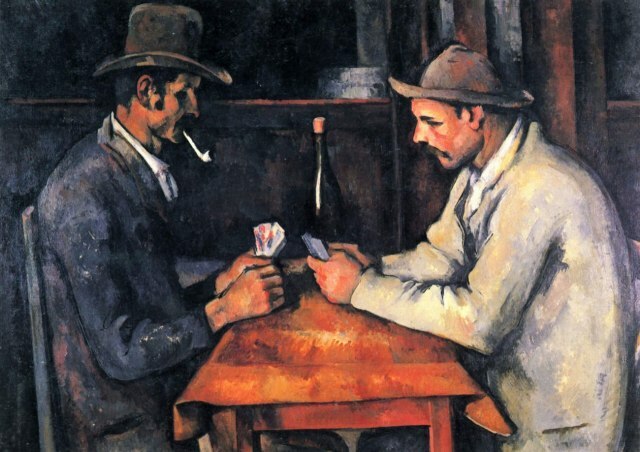 NEW ORLEANS (Gazette) — In the world of art, reports have recently revealed that the Arabian state of #Qatar secretly purchased a Paul Cézanne painting, The Card Players, for more than #$250million. “The deal, in a single stroke, sets the highest price ever paid for a work of art and upends the modern art market,” said Vanity Fair. This sale more than doubles the previous record paid for a work of art. A French artist, Cezanne (1839-1906), was a Post-Impressionist painter. Bought for $250M by Arabian State of Qatar. NEW ORLEANS (Gazette) — Below is a painting in the developmental stage being created by my sister, #Peggy, which she is posting as she goes. I thought that it might be interesting for some of my readers to also see it as it develops. For some time now, I have been planning to buy an easel also for me, myself and I. By the way, on my way home just now I almost stopped at one of my favorite stops for that good ol’, N’Awlins home-style eating; but I opted for a place closer along my route. Also, I am somewhat on the Master Cleanse fast for a while. So, I thought that all the bread and meat that I usually eat at Parkway should wait for another day. Please click "Follow" to Subscribe/Follow my posts in order to receive an e-mail notice when I post new articles. Plus, I will write stuff that you suggest or like. What I am doing with the posts on my FerdieWerdie Gazette is: listening for the voice of the Lord and seeking the face of Jesus. What I hear in my journey, I will also write about. What guides me in this journey and what I propose for you to do is: Wait on the Lord, and be of good courage ..for He shall strengthen thy heart! This entry was posted in Art, History and tagged Art, auctionj, Ferdie Werdie, French, highest cost, painting, Paul Cezanne, The Card Players. Bookmark the permalink.